Hello, Sunday. You'd think I'd be brunching, but I'm not. I took care of my weekend ritual yesterday (booze-free) with Miss Anna. Instead, I'm headed home to celebrate my little sister's seventeenth birthday. Yes, seventeen. Doesn't it feel like just yesterday that she turned six sixteen? It certainly does to me. So rather than reflect on how old I feel, or the fact that I'll soon be twenty-four, I thought we could play a game, again. It's called eleven things and I was fortunate enough to be tagged by two Foodbuzz buddies, Aubrey and Melissa. I should... list eleven random things about myself, answer the two sets of eleven questions they asked me, come up with eleven more questions, and then tag eleven bloggers to answer those. But I'm just going to answer their questions, okay? Truth is, I'm afraid I'm running out of quirks to share. Ha. What's a food that you used to despise but now love? Olives. Would you rather live near the beach or in the mountains? Gosh, I do love the beach, but I think I'd have to choose the mountains. I love hiking and temperate weather more. Who has been the biggest influencer in your life? Probably my mom. What's your favorite thing to eat for breakfast? How cliché of me would it be if I said oatmeal? In any case, I promise pancakes are a close second. What kind of music do you listen to at the gym? I hardly ever go to a real gym anymore. But if I were in the habit again, I'd bring a mix of genres (like this one) along with me. Beer or wine? Or... straight up hard liquor? As much as I like beer (and tequila), most definitely wine. How would you like to be proposed to? I've honestly never really thought about it. I think I'd prefer that he, whoever "he" is, not make a public scene out of it or do anything too overdone/cheesy. What's one thing you haven't done in your life that you are DYING to do? Go sailing. What would you want to be your last meal? Something like this. Did you have fun at your high school prom? Yes I did. 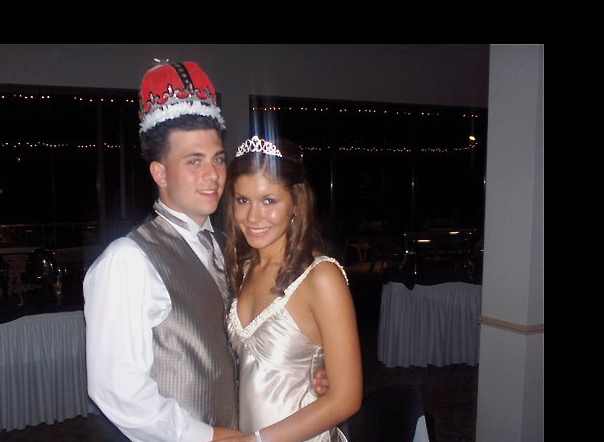 I very much enjoyed my time as prom queen ;). What are 11 thing you want right now? A cup of coffee, a new purse, daily green juice delivery, no more student loans, an apartment that cleans itself, multilingualism, and a visit from ma souer. I'd also like to solidify Colombian travel plans, to see my host family again, to have won a trip to Greece, and to go to Iceland (plus about a million other places). If you could be one bird what would it be? A hummingbird. PB or chocolate on a desert island? You can't have both. Chocolate :). Mountain or ocean? You still can't have both, haha! Mountain, see above. If you could live in a different era, which one would it be? At the moment, the early 1960's. I'm a bit obsessed with Pan Am. What president, dead or not, would you like to have lunch with? Lincoln. What is your favorite book of all time? Frankenstein. You win the lotto, who do you call first? My mom. I talk to her almost every day, and that big news would warrant yet another phone all. What is your favorite sport to watch on TV? to watch live? Basketball, basketball, basketball. And with that: Go 'Cuse! What was your favorite cartoon to watch growing up? Doug. How long have you been best friends with your best friend? Five years.